Memories of the day when they retrieved their beloved son’s decomposing body from a pit are still haunting them. The very recollection makes air mournful in a shanty Mir house untouched by the new growth story. The pit symbolizes the larger grief inflicted on the town that went up in smoke in 1995 spring. That harsh winter had sent Haroon Khan, Pakistan’s Afghan-hardened fighter take refuge in the town. Prior to his arrival, Gandhi Nagar police claimed a sensational capture of Shahid Latif. Close aide of Khan, Latif was arrested on November 12, 1994. He had earlier crossed over to Srinagar along with Khan on close heels of 1993 Hazratbal siege. His arrest didn’t turn heads, until a few months later, sweating sleuths were witnessing Mazar-i-Sharief emerging out from Charar-i-Sharief. By then, another ‘guest militant’ had reached Srinagar: Abdul Rahman, sponsored by Pakistan’s Jama’at-e-Islami. “On reaching Kashmir,” Rahman wrote in Lahore’s Urdu Digest on March 2, 1998, “I saw several Pakistani groups including ‘Lashkar Bomber’ led by Haroon Khan.” From Srinagar, said Rahman, Khan proceeded to Charar housing one of Kashmir’s sacrosanct Muslim shrines. 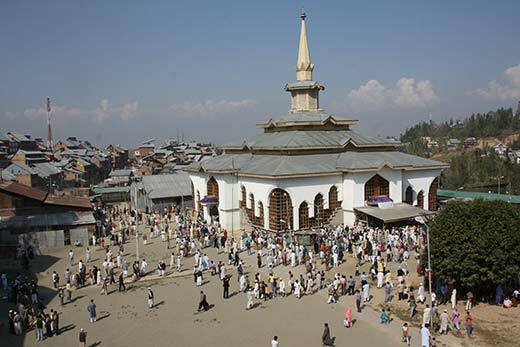 Abode of the saint Sheikh Noor ud Din Noorani (RA), the hill-town 28km from Srinagar was packed with the saint’s legends. Born as Nund Reshi in 1377, the saint pioneered Rishiat in Kashmir and became popular as Alamdar-e-Kashmir, the flag-bearer of Kashmir. He rests in peace there since 1438. By the time Khan alias Mast Gul from Pakistan’s Khyber-Pakhtunkhwa arrived in Charar in early December 1994, the saint’s 700-year-old shrine was drawing thousands of devotees for the annual Urs. His arrival was thought as his transitory winter hang about. “I still remember,” says Showkat, then a class-X boy, now serving state government, “how the town rallied behind Gul. He convinced the townspeople of his capacity to save the shrine in case of tensions.” Armed to the teeth, Gul and his men dominated the scene and Charar’s local militants. At the peak of winter, he told people he would leave the town by Eid-ul-Fitr, more than two months away. Then, evenings would end up in shrine for residents listening to the “heroics” of Mujahideen, some of whom were very well read including a chemical engineer who topped Karachi University. Gul would tell tales of demonstrating his guerrilla training sessions on Lahore’s Mall Road. But the supposed secret sojourn was already on newspaper front-pages, alarming Delhi at a time when it was considering assembly elections in strife-torn valley. Communications flying between Delhi and Srinagar were laced with concerns, tensions, confusions and chaos. On December 8, 1994, Lt Gen MA Zaki, advisor (home) chaired the United Headquarters (UHq) meeting, directing army and BSF to carry out “deliberate operations” in Charar. By January 2, BSF began dominating the heights surrounding the town. Two days after, army and BSF met to discuss deployment strategy on the town heights. Army assured action the moment its counterinsurgent wing, Rashtriya Rifles would arrive on the scene. On February 1, the Intelligence Bureau (IB) sent a secret note to Zaki, BSF and army, revealing how “125 foreign mercenaries” were often seen moving in small groups in Charar market. This was second report in 10 days. Earlier on January 21, the IB informed about the “large presence of militants including a sizeable number of Afghans and Pakistanis” in the town. In view of these reports, 7-Race Course Road wanted immediate action, but Raj Bhavan took its time. Later, Governor KV Krishna Rao sent a detailed note to Prime Minister PV Narasimha Rao, explaining why the state didn’t react immediately: “Preparations for the Republic Day parade were being made and intensive operations were being conducted to clear Srinagar so that the militants are unable to disrupt the parade and flag-hoisting ceremony.” As Rao was overseeing Srinagar, militants struck when he was making his Republic Day speech in Jammu. Three bombs went off, one after another. Even army was restive. On February 10, army shot a note to Zaki, seeking immediate details about civil administration’s action plan on Charar situation. “What is surprising,” Zaki forwarded a note to Governor Rao on February 22, “is that the information about the presence of mercenaries in Charar has been shared with army and BSF by the IB reports dated January 3 and 21.” ADG, BSF had discussions with Brigadier Mohinder Singh of 56 Mountain Brigade, Zaki said. “Yet the army wants a plan. This clearly indicates that the army is trying to pass on its responsibility to the civil administration.” As Governor remained calm, Zaki asked state’s ADG (CID), V Aivalli to remind army of its role in Kashmir. Then exchange of notes—medium of communiqué between different official wings at that time—halted. When state officials brought up Charar in the monthly UHq meeting, they got Rao’s curt response: the matter was being handled by certain channels. Rao never explained it further. By March 14, government was offering safe passage to militants, saying they could be handed over to Pakistan at Suchetgarh. Rao reiterated this offer when Iranian President Rafsanjani was in India. But Gul refused to swallow the bait. In retaliation, authorities imposed Section 144 CrPC on March 19, banning entry of people and media into the town, thus starving Gul of publicity. But nothing changed. By April 2, government was looking for “respectable” residents to mediate with Gul. Even an army major, who earlier tagged Gul as “hired gunman”, established radio contact with him. But talks failed. Residents said army even set free a militant to make peace with Gul but “the man’s body was found hanging the next morning”. Amid this confusion, Charar outskirts were highly garrisoned. By 10th week of standoff, troop strength had reached 12,000. With multiple-stakeholders surrounding the town, there were interesting instances of inter-forces squabbling. One force’s mole was another force’s fugitive! When all this was happening, people were deserting the town. By ending April, barely 1,000 of the town’s 20,000 population had stayed put. Government blamed minor military-militant confrontations for Charar desolation. But the residents say the reason was something else. “What actually triggered massive migration from Charar was the cut-off water and power supply to the town,” said Nazir Baba, a Charar resident. “When the embargo lasted for over two weeks, people migrated.” It was clear indication that Charar was heading towards a change. Then came the H-hour. On May 9, army sought clearance from PMO to storm the town. “From day one of the standoff, army was fighting the war of nerves,” says an army officer, accusing PM Rao of being cocky and complacent. “He wanted to drain out the militants like he did in Hazratbal. But unlike Hazratbal, militants in Charar had food, shelter and public support they needed as they were amidst a bustling town.” Besides, he says, Gul was a different tribe. Two days later, explosions ripped the rear side of Khanqah and the shrine. The mosque caught fire. Militants scattered into the town. At 2.15am on May 11, fire spread to the shrine. By 3.00am, the 14th-century Sufi two-storey shrine entirely made of Deodar wood was reduced to smouldering heap. 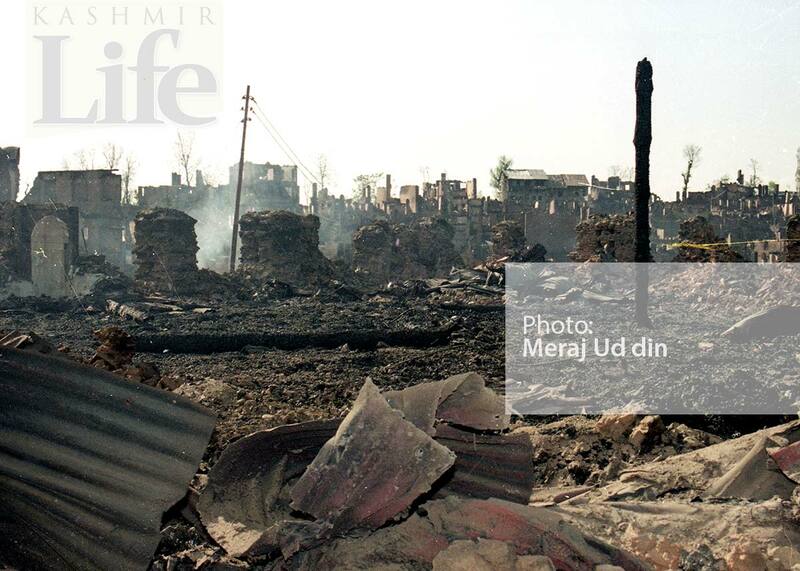 Fire spread to Gulshanabad locality. By 3.30am, fire brigade called in but staff refused to douse flames amid the bullet rain in the town. “At 5am, a close quarter battle (CQB) teams from army’s crack Jat, Kumaon and Guards regiments entered the burning town to flush out the militants,” said army, claiming it gunned down twenty five militants in the town and lost two jawans. By the dawn of May 11, the 1000-year-old township was war-ravaged with hardly 200 outskirt houses intact. The catastrophe had wiped out 1310 houses making 1460 families homeless but the official statistics put the destroyed construction at 867 affecting 1020 families. For army, the only upshot was arrest of abu Jindal, of Harkat-ul-Ansar from Faisalabad. He was paraded before media. “Jindal later helped us in the detection of IEDs and militant hideouts,” army claimed. But the Operation Shanti smoked up Kashmir’s “peace prospects”. The gagged vernacular media termed Charar conflagration as Delhi’s defeat. It resurrected rage in valley after an incredible run of six months without curfew. Paramilitary men forced a livid population, especially downtowners, to stay indoors. Even then protesters burnt 200 government buildings in Srinagar and Islamabad. The Charar episode delayed PM Rao’s “ambitious elections” he desperately wanted to conduct in valley “to take some heat off from Markaz”. To recover from “setback”, he held a series of emergency meetings. “The inter-agency bickering and name-calling was sometimes reminiscent of the aftermath of Ayodhya,” the press reported. The ‘shrine shock’ had unnerved South Block, fearing a violent outburst from already grim Muslim community. But Indian Muslims stayed silent. In Kashmir, Hurriyat leader, Abdul Gani Lone, drew parallels between Charar and “Operation Bluestar”. Islamabad and Delhi accused each other for Kashmir’s vital loss. 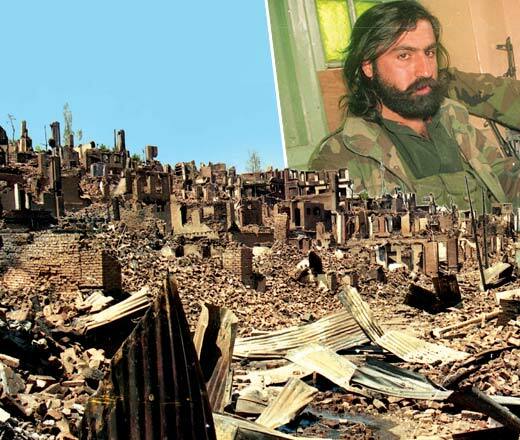 Amid flames, however, Mast Gul fled and emerged a hero: Tschar Bani Hani Hani, Mast Gul Kati Bani (Chrar will be reconstructed brick by brick but wherefrom would another Mast Gul come). But how did he break through the security dragnet? There are no clear answers yet. While Charar residents said Gul was helped by local militants, BJP’s Jaswant Singh stated Gul was escorted all the way to LoC and permitted to go. And the ex-R&AW chief CD Sahay posted in valley during the Charar standoff believes Gul escaped in a fire tender. A day after his escape, Gul sent an audio tape to Srinagar press enclave claiming he was safe. Barely two weeks later, he addressed media. Soon, Gul was interacting with another group of newsmen in outskirts of Islamabad on Pahalgam road. 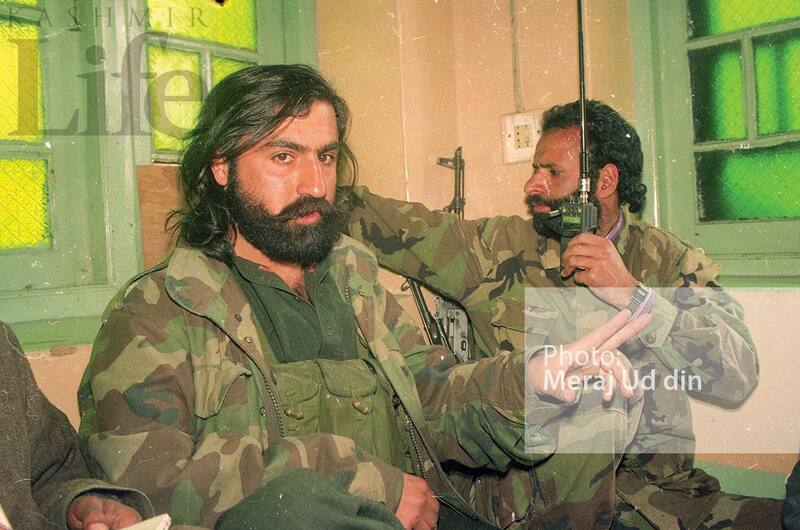 At Punjab University, Mast Gul was given a rousing reception by the jam-packed auditorium as he entered surrounded by armed militants in camouflage jackets. For Pak media and intellectuals, Gul was a “war hero”. But in Kashmir, army was trying hard to portray him a Charar’s ‘curse’. 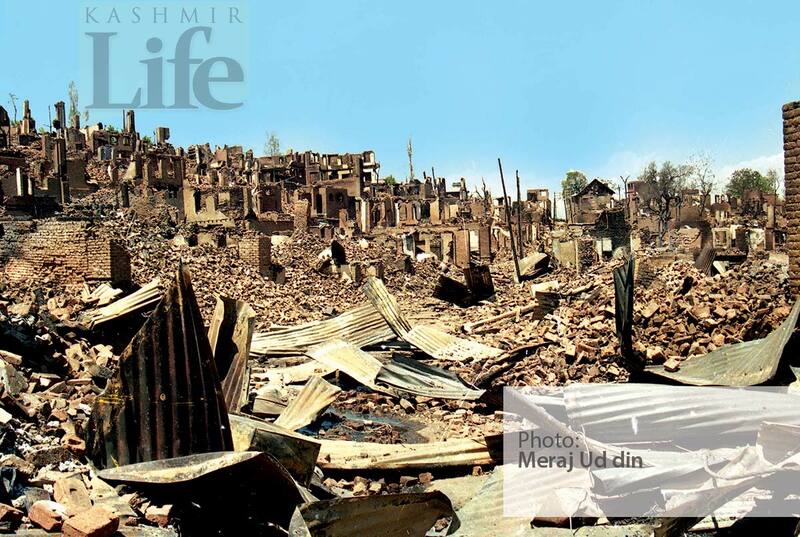 On the very first day on Eid, May 12, when two busloads of scribes were taken out of curfewed Srinagar’s Badamibagh to the ruined Charar, locals accused army for the destruction. The echo then rumbling in valley was that the army had sprinkled gunpowder over the town from choppers before blasting it down with mortars. To contain the echo, the army even parachuted a plane-load of reporters from Delhi without seeking Raj Bhavan’s permission. Burns reported how in the war-ravaged town, the returning residents were telling the visiting journalists: “Nothing is left! The whole town is gone!” The weeping townspeople were shrieking, “India get out!” They held massive protests in the town outskirts when Charar was still smouldering. Some men even put off their shirts in rage. Briefing media, Brigadier Mohinder Singh, supervising Charar operations, said out of 25 militants killed by his troops during search of the ruins, nine were Pakistanis. But three years down the line, Pakistani militant, Rahman who escaped unhurt from Charar with Mast Gul disclosed in Urdu Digest that out of the 25 militants, only one, who belonged to Bhawalpur, was killed in the military action in the town. “The rest had managed to flee to Pakistan,” Rahman stressed. The question was, if Gul and Co were back to Pakistan, then who were those killed in the Operation Shanti at Charar? The answer was perhaps no mystery for the troupe of newspersons flown to the wrecked town. Among them was Shiraz Sidhva of Financial Times. Twenty one years later, in Charar’s Kumar Mohalla, eyes are still getting moist over the mention of Ali Mohammad Kumar. His foster son, Bilal, was 15, when he was asked by Ali to migrate from the town with his family to escape security onslaught. A few days after the blaze, when Bilal finally managed to reach the gutted town, he was told that Ali’s roasted body was retrieved from the shrine rubble. “Later cops buried him in a large pit along with 20 odd bodies.” Ali, stresses Bilal, was no militant. Among the dead—termed militants by army –was a paralytic woman whose body was found down in the ravine. On June 8, 1995, Governor Rao blamed Zaki for the Charar episode. Zaki shot back a letter: “You know well enough – that the army does not take orders from me.” As Rao—”a shrewd man who played for himself”—ignored him, Zaki in protest submitted his resignation to PM Roa. Since his appointment on March 13, 1993, four of Rao’s advisers had quit as he changed chief secretary twice “for being closer to Home Ministry”. He had famously kept Home Minister SB Chavan waiting for 20 minutes and skipped calling him when in Delhi. He had even complained to PM about the Home Ministry’s leaks to the press regarding his administration’s role during Charar siege. Rao would often say: “I report directly to the prime minister.” He even offered his resignation to PM Rao over Charar burning, saying, “Find somebody better.” But what puzzled Kashmir bureaucracy was PM Rao’s trust on the general. Both belonged to Andhra Pradesh. Away from this politicking over Charar inferno, Delhi announced Rs 31 crore package on June 28, 1995 to rebuild the township. Of this Rs 15 crore came from state’s own kitty. Terming it “insult to injury”, Hurriyat opposed the idea. As a ministerial delegation, including Home Minister SB Chavan and Finance Minister Manmohan Singh, headed for Charar to oversee reconstruction, Hurriyat in protest set up ‘Alamdar Fund’. For rehabilitating 1460 affecting families, the government announced Rs 1 lakh for owner of each gutted house from PM’s relief fund. 330 plots were allotted to sufferers in the satellite town. The new colony named Alamdar Colony witnessed ungainly concrete housing in the middle of a slushy field. Most of the structures still look incomplete, apparently indicating the uneven resource availability. The satellite colony with new houses and shops became the address of new Charar, where life seems placid compared to the old town. “The change caused by conflagration cost us our traditional housing and unique community,” says Bashir Ahmad, an Alamdar Colony resident. More than progress, it is this sense of nostalgia that apparently runs deep in Charar’s new address. They talk about ‘good old days’ and how the old town was to be developed as a model town under Jagmohan’s rule. 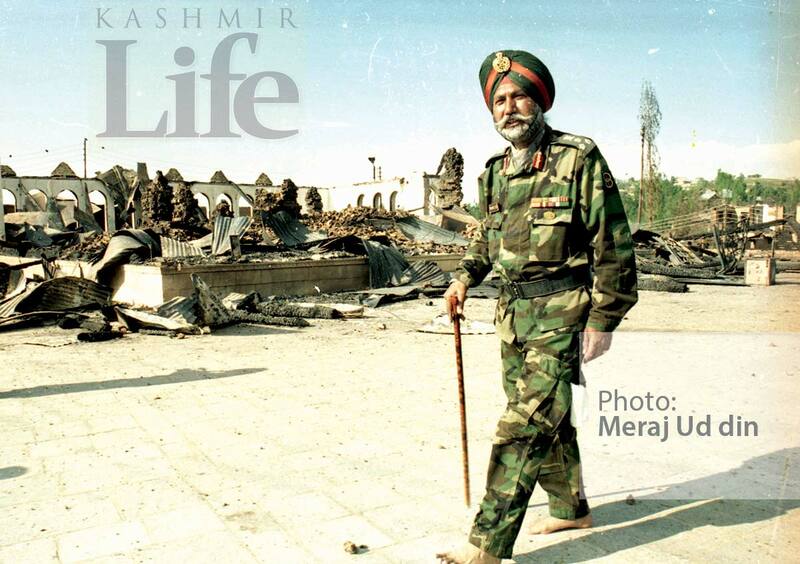 Amid remembrance and rebuilding, Charar got a new shrine built at a cost of Rs 3 crore on Oct 7, 2001. Shrine’s Khatamband ceiling was assigned to Kashmiri professionals. The new structure was the main shrine’s replica, retaining a pagoda-shaped top. But post-blaze, the remaining old township was highly militarised. Army occupied many strategic locations. Till 2011, dreaded Hanwari camp would overlook entire town from a hillock with ravine on three sides. Today, Charar is changed. Unlike new generation, the elders are caught in their memories, like the Mir family of Bud Talaab. They are unable to forget how an invading army dragged their son from their rundown residence on May 11, 1995. The fire had miraculously spared that area where their son was killed and hurriedly buried in a pit, becoming a borderline between new and old Charar. On the other side of the divide, the 51-year-old Mast Gul has changed his status. The “hero of Charar” is now Pakistan’s “most wanted terrorist”!